Ross Bell has opened Pandora’s Box. He should be happy. He leads an organisation that has long campaigned for sensible, evidence-based policy and legislation around drugs. The Government has responded with an early Christmas present. It’s just passed legislation to create a market for medicinal cannabis, and is set to go further with the details and timing of a referendum on cannabis use, possibly to be held next year but more likely 2020. That could pave the way for decriminalisation and possibly even legalise its consumption and sale, something the New Zealand Drug Foundation executive director and others have been advocating for many years. * How much could New Zealand earn from taxing legal cannabis? But Bell is a little anxious, even worried. The foundation has produced a report to help inform the debate. Estimating the Impact of Drug Policy Options, produced in association with economist Shamubeel Eaqub’s Sense Partners consultancy, will have industry and political insiders drooling. The report states that a legalised and regulated cannabis industry could cultivate $450 million for the country. The Government could make up to $240m in tax revenue and also save many millions in reduced burdens on justice and policing. Also, if much of that revenue were redirected to treatment and prevention through a more health-based regime, that could produce a net social benefit of $225m a year, including improved educational, employment and life outcomes. It’s a gift that keeps on giving: gangs are supposedly sidelined, the black market undermined, drug use becomes a health issue rather than a crime that permanently marks a life, and everyone makes a bit of green. What’s not to like? But the deeper Bell looks into the box, the more concerned he is. 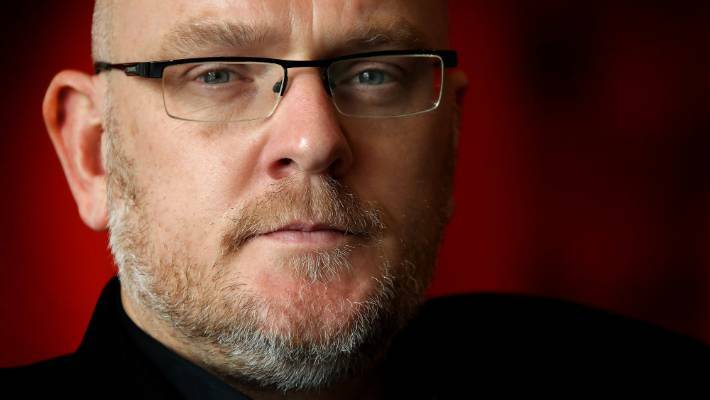 Ross Bell, executive director of the NZ Drug Foundation, is worried about the corporate sharks circling the newly created medicinal cannabis market. He’s wondering if an industry run by powerful corporates and sharp suits will be any better or safer than a market controlled by gang members in tinny houses. Others have similar concerns. Bell recently visited North America. He toured boutique-style retail stores and busy factory floors. Cannabis is grown inside a factory in Smith Falls, Ontario, Canada. The country legalised the sale of recreational marijuana in October. Colorado threw the doors open in 2014, when it created the world’s first regulated recreational marijuana regime. That followed its creation of a medicinal cannabis market four years earlier. At least 10 other states have since followed, and Canada legalised sales in October. It’s early days but the greatest beneficiaries have been big corporate players taking a largely commercial approach. 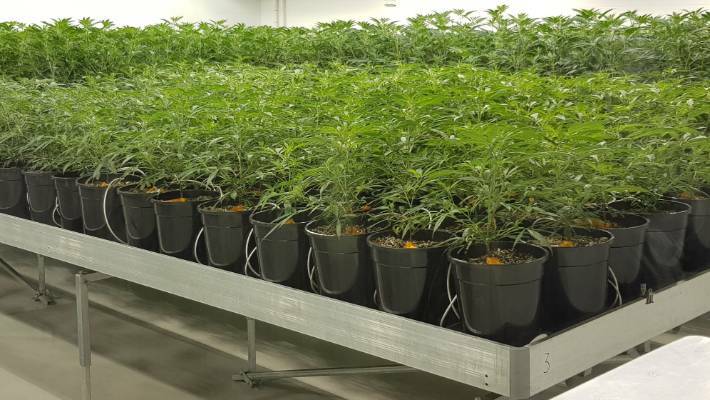 Canadian firm Tilray, considered a pioneer in the research, cultivation, production and distribution of cannabis, trades at about $100 a share on the Nasdaq. 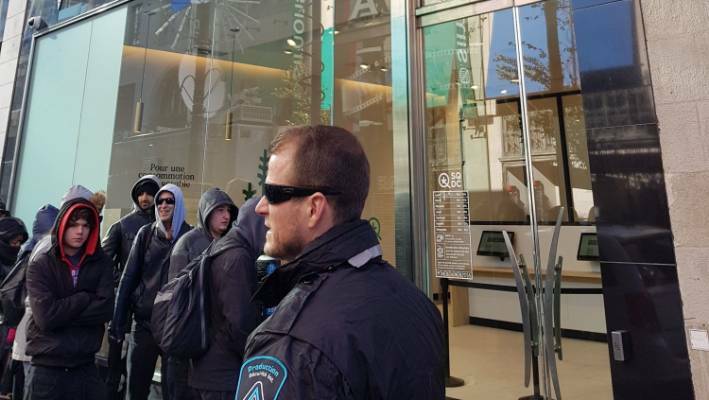 A guard stands ready as the queue builds outside a retail shop selling recreational cannabis in Montreal, Canada. That’s because it’s only the larger businesses that can cope with the costs incurred from stringent quality controls, large-scale production and other burdens of the regulatory regime. In Canada, other significant producers of medicinal and recreational cannabis include Aurora Cannabis, worth C$5b; and Aphria , valued at $2.1b. And even bigger sharks are circling. Constellation Brands, the American drinks company that owns Corona beer, is investing $4b in the market, with plans to produce cannabis-based drinking products. It’s just the latest innovation inspired by a relentless drive to increase profit and market share in a new global business potentially worth many hundreds of billions of dollars, says Bell. As part of that push, overseas markets have quickly graduated from the rolled-up joint passed around at parties to edibles, pills, vapours, suppositories, even lollies. New breeding techniques have tweaked and heightened potency as well, as part of a commercially driven campaign to grow a base of loyal, heavy users. That’s what makes Bell and many others nervous about what might happen in New Zealand. 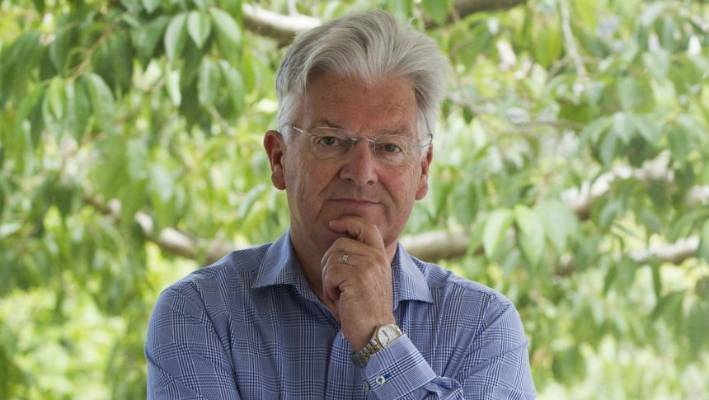 Former government minister Peter Dunne is now advising a company preparing to take advantage of a medicinal cannabis market. He’s comfortable about people making big money in the new business. They’re seeing the development of a commercial model that mirrors the sale of other harmful, but legal, products like alcohol and tobacco. Bell is particularly worried about the comparison with alcohol and its 80/20 rule, acknowledged in studies by the World Health Organisation and others. To maintain profits and margins, alcohol companies need 20 per cent of their customers to consume 80 per cent of their product. They rely on that base of heavy users. The rest of us, mainly moderate users, are the froth on top. Bell and others believe that is being followed in the cannabis market overseas and may become part of any future business model in New Zealand. “We would want to avoid that,” he says. “Critics will say these guys are in it for the profit and the only way to make profit is by targeting that heavy use . . . encouraging that type of use. That’s of little concern to Peter Dunne. 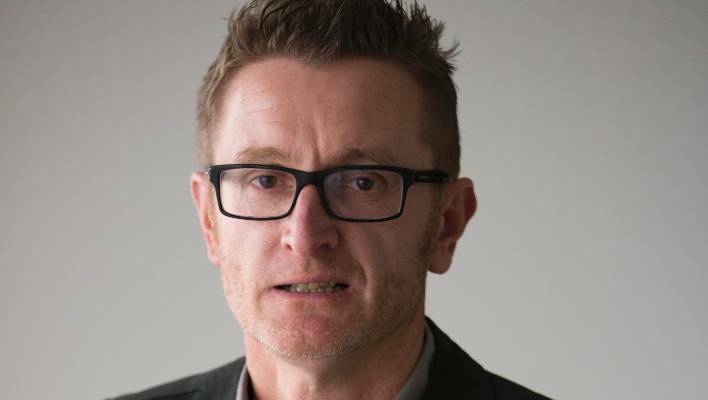 Drug researcher Chris Wilkins says New Zealand has one shot at legislation around a regulated recreational cannabis market and we have to get it right. The former minister of revenue and associate minister of health was responsible for the 2013 Psychoactive Substances Act, which established a regulated market for synthetic drugs. And he played a key role in advancing policy to create a similar market for cannabis-based medicines, before leaving politics in 2017. That knowledge and experience will be invaluable in his new role, leading the advisory board at SETEK, a business working towards production and promotion of medicinal cannabis products. “Certainly there are substantial amounts to be made and capacity for the government to derive significant amounts of revenue from a regulated cannabis market,” says Dunne. “It’s inevitable that if you have a regulated market there will be some people who will become very wealthy as a result of it. “But you cannot have, in my view, an unregulated market, for the health reasons, for the issues; who takes control then? The gangs control production and distribution and they would simply intensify their stranglehold. Safe and proper includes greater state control of what is grown and how, the products produced and who benefits, says Dunne. Chris Wilkins and Lynette Hutson disagree strongly. They say both may be legal, regulated products but tobacco kills 5000 people a year and costs the healthcare system somewhere between $350m and $1.6b annually, while alcohol kills up to 1000 people and costs an estimated $5b in wider social harm. 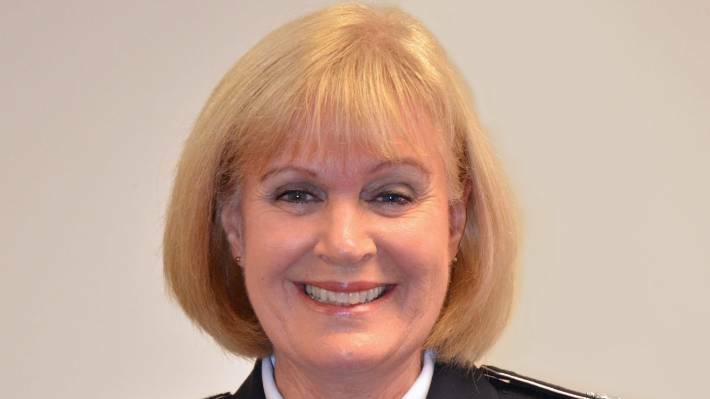 Lynette Hutson, national director of the Salvation Army’s addiction services, believes a recreational cannabis market based on the alcohol model would be a disaster for New Zealand. Both have seen that for themselves: Associate Professor Wilkins leads the drug research team at Massey University’s SHORE & Whariki Research Centre, and Hutson is the Salvation Army’s national director of addiction services. But, like Bell, he too senses the circling of corporate sharks with little interest in mitigating social harm of the products they peddle. Like Bell, he too has watched developments overseas and is worried New Zealand might follow the same troublesome path. “There’s a whole lot of lobbyists talking to government about how many people we could employ, how much tax revenue we could earn, and that really is the wrong route to go down because, yeah, you’ll make a lot of money and employ a few people, but also the taxpayer has to pay for all the social and health problems that would come from an out-of-control cannabis market,” he says. Colorado offers an interesting comparison, with a similar population size to New Zealand. Figures from the state’s Department of Revenue show the legal cannabis market was worth US$1.56b last year, up from $680m in 2014, with the state government collecting just under $250m in tax revenue, up from $68m. Results in other key areas are mixed. There have been far fewer arrests and prosecutions since Colorado legalised the market (marijuana charges filed in courts fell 81 per cent between 2012 and 2015, from 10,340 to 1954), largely because of a greater focus on health and education. Other figures show a small drop in property crime and little movement in violent offending. The Denver Police Department has reported a small increase in marijuana-related traffic violations, but this has been attributed to a greater awareness since the law change. And it appears the jury is still out on the impact of cannabis use on driver impairment. Fatalities with a link to marijuana use rose from from 55 in 2013 to 79 in 2014 but, again, authorities are reluctant to single out the drug as a primary cause. One figure of concern is the rise in teenage visits to hospital. A report presented at the 2017 Paediatric Academic Societies Meeting in San Francisco said visits to a Colorado children’s hospital emergency department for cannabis-related issues quadrupled between 2005 and 2015, a year into the new regime, from 146 to 639. Adolescents with symptoms of mental illness made up the biggest portion (66 per cent). And general use of marijuana appears to have risen. The National Survey on Drug Use and Health reported that cannabis users made up 5.4 per cent of the Colorado population in 2006. In 2014 that had jumped to 12.4 per cent. A 2017 survey by Yahoo News and Marist College put the number of regular marijuana users nationally at 35 million, or 14 per cent of adults in the US; 55m (22 per cent) admitted to trying it at least once or twice in the past year. The Salvation Army’s Hutson leads a team operating in 22 centres, from Kaitaia to Invercargill. She’s more than a little concerned about those figures. In the last financial year they helped more than 5500 people with a variety of addictions, from alcohol and drugs to gambling. She sees merit in legislation that focuses more resources and funding on a health, rather than punitive justice, approach. She agrees with Dunne that a market maintained by gangs and other criminal elements is unacceptable. The Salvation Army would be keen to be involved in a regime that increased funding for treatment and education. But, like Bell and Wilkins, she wonders how much of any tax revenue or licensing derived from a possible cannabis market might actually end up funding treatment and education. Much of the money from alcohol and tobacco makes it into the consolidated fund for general expenses; just 1.5 per cent of pokie machine profits is used to help problem gamblers. The former minister of revenue acknowledges the risk. “The Government will certainly say that they will use the increased revenue to boost health and related funding, but they will be very reluctant to tie it specifically to that,” says Dunne. Wilkins believes that before anyone starts counting the money, the framing of both the referendum question and any subsequent legislation will be vital pointers to which path New Zealand takes. It doesn’t have to be a wholly commercial model; Uruguay’s government controls the country’s cannabis market, with sales through its pharmacies. “There’s at least 10 or more different options between the extremes of gang and corporate control that we could pick,” he says. These range from encouraging mum and pop community operations to establishing charitable trusts and other non-profit organisations with a social agenda. Wilkins says one model could be a tweaked version of the country’s alcohol licensing and pokie machine trusts. “They would be required by law to give a percentage of all gross revenue, not profit but the actual every dollar you spend,” he says. “Forty per cent would go back to the community where that dollar was spent, would pay for things like youth sport, cultural events and arts, but also drug prevention and treatment in your community. Whatever the nation decides, it needs to think carefully. “People think cannabis legalisation is easy and you’ll get all of these benefits, but there’s a long, rocky process to go through to make sure you’ve got the right regulation, and there’s no guarantee that you’ll get there,” says Wilkins.